The days when the people of the UK went along to their nearest NHS dentist and had no choice in the matter are long gone. Dental care has been revolutionised. Falling budgets in the NHS, the growth in cosmetic dentistry, and greater levels of affluence have made private dental care much more mainstream. We also live in a culture where the famous British “stiff upper lip” and “be grateful for what you receive” attitudes have changed, and consumers now have much greater levels of expectation that their needs, wants and preferences will be taken care of. 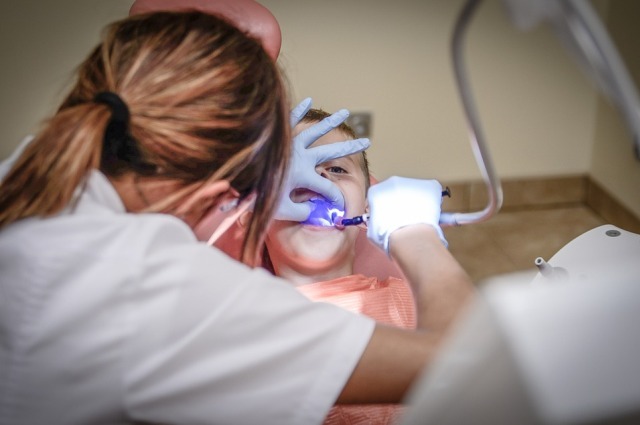 The boom in private dentistry has meant that marketing has become extremely important, ensuring that a dental practice stands out from the crowd. Stephen Tittensor is a dentist in Swindon who runs a successful surgery. Here are 5 tips he shares for dental surgery marketing. 1. Don’t Be Afraid To Say Who You Want As Patients. No practice is going to work with every customer in a given town or city, so why not select the ones you would like to work with. Ebenezer House Dental Care advertises itself as a friendly and relaxed place, so we are more likely to attract patients who want to be in that environment. It’s important to us to work with people we like, and by being clear on the kind of people we are, it helps bring those on a similar wavelength to us. 2. Invest In Online Marketing. Most people go to Google to find local services, as it is quick, free, and accurate. Any business that is serious about growth and long-term success needs to be on page one of the search engines. Using search engine optimisation is important, and there are many companies offering that service. Using local ads online is a great way of getting on page one instantly, and you can control your daily budget. Google Adwords is the most popular. We also use You Tube as ameans for customers to find us. A simple video is all it takes to get an online presence. 3. Keep Your Existing Customers Happy. So many businesses spend energy attempting to find new customers they can neglect their existing ones. We send regular newletters to our patients, with special offers, dental health tips, and snippets of news about our staff and the charities we support. This helps keep us in their mind and maintaining the relationship with us. 4. Embrace Socia Media. I’ve met a number of dentists who tell me they hate social media. However, our patients love it, so we need to be there, engaging with them. We concentrate on Facebook. The main thing to learn is that it is “social” media, not “selling”. We use Facebook for patient education, to highlight new services, let patients know about holiday opening hours, and to build the sense of “family” we wish to have around our practice. 5. Encourage Word-Of-Mouth. Despite the growth of the internet, the single most powerful marketing comes by recommendation from a trusted friend or relative. Ensure that you ask for recommendations, and also show gratitude for receiving them. A small “thank you” card, or a quick telephone call, as easy ways to show your appreciation, and they mean a lot to the recipients.